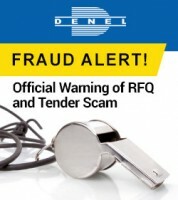 Denel Dynamics, a division of Denel SOC Ltd, an innovative leader in advanced systems technology. Our core business includes tactical missiles, precision guided weapons, unmanned aerial vehicle systems and space solutions. Our products are designed, developed and manufactured in South Africa. Denel Dynamics is a strategic partner of the South African National Defence Force. The company also promotes collaboration and partnerships with other developing nations such as Brazil and the United Arab Emirates. 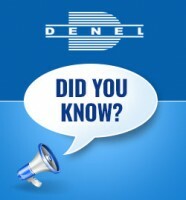 Denel Dynamics products are also in service with other defence forces in Africa, the Middle East, Europe, Asia and South America. As South Africas top engineering intellectuals work for Denel Dynamics, local and international partnerships with educational institutions have been established to create exciting opportunities in the fields of science, technology, engineering and maths. Quality skills transfer, mentoring and bursaries are of key importance to enable retention of South Africas pool of talent while transforming our business and people. Our aim is to build upon our world-class expertise and to keep passing on our intellectual property. The true character of the business of Denel Dynamics is advanced technological prowess and the evolution of innovative ideas into high-quality, reliable and robust products and systems for end-users.